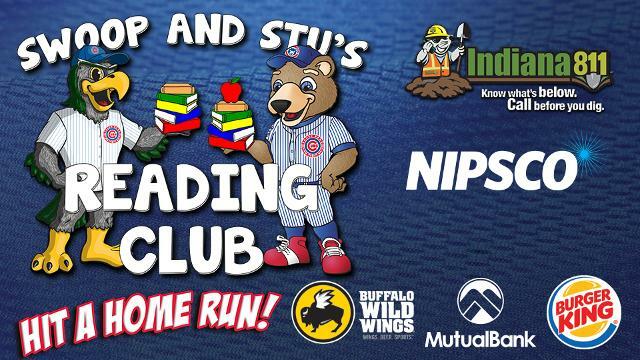 Swoop and Stu's Reading Club is a fun, incentive-based reading program that gives students the chance to earn weekly prizes through the South Bend Cubs. The program kicks off on March 5th in accordance with National Reading Month and will last throughout the month. Students that participate in the program will be given weekly reading goals (as assigned by their teachers) that will earn them prizes upon completion of the goal. The final goal for the month will earn the student a free ticket to a South Bend Cubs game! Last season, over 22,000 students participated in the program. Those schools who participated in the program last year will receive information on the 2018 Reading Club after January 1st. Teachers who did not participate last year and are interested in participating are encouraged to contact the South Bend Cubs at (574) 235-9988 to receive more information.